Ford is taking connectivity and mobility to a whole new level. Ford Motor Company announced today it is turning its cars into “rolling WiFi hot spots,” starting with the second generation of its SYNC system. 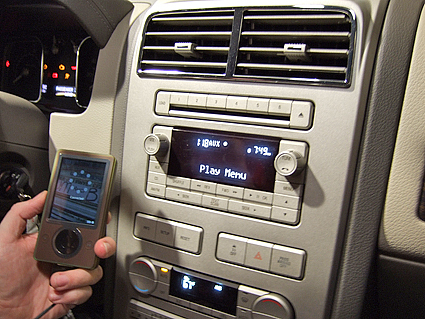 Ford’s SYNC in-car system produces a wireless connection that will broadcast throughout the vehicle, allowing passengers with WiFi-enabled mobile devices to access the Internet anywhere the broadband modem receives connectivity. Now, we have to ask ourselves—will this really fly with the bounty in driving-while-using-devices bans that have been popping up all over the country? Surely, this is a grand feat for Ford, but the Department of Highway Safety and Motor Vehicles may not be as enthused about the new technology as they are. Ford says the SYNC’s USB port lets owners leverage a variety of devices, including the mobile broadband modem. And through simple software updates, SYNC can be adapted to connect with the latest devices. The automaker says that Consumer Electronics Association studies show that as many as 77 million adults make up the so-called “technology enthusiast drivers population,” more than half of whom express the desire for a connected communications and information system in their vehicles.